Blocked Chakras can result in feelings of lethargy, fatigue and blocks in our flow of abundance. By clearing or releasing negative thought forms and balancing the chakras we open up the flow of energy which then leads to healing our issues and to good health. Clean and balanced charkas open up our energy flow, which leads to new ideas, peace, balance and synchronicity. 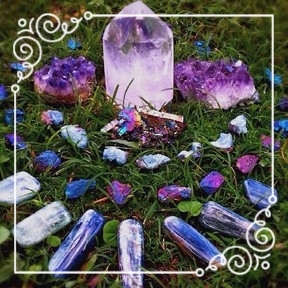 Placing specific gemstones or crystals on the body while incorporating a therapeutic touch modality such as Reiki can result in the clearing of imbalances, this has the capacity to influence the physical, mental, emotional and spiritual aspects of our lives. A person feels lighter, clearer, more balanced and dis-ease gives way to good health. Individuals may feel a shift in their being or more frequently an emotional release may occur.